Not butterflies again, I hear you say? The background stamp is quite large so I always choose wood mount as I think it is easier to work with. A tip is to take your ink pad to the stamp when using very large stamps like this one. To get the recessed part for the envelope I used a post it note on the envelope before I stamped the image. 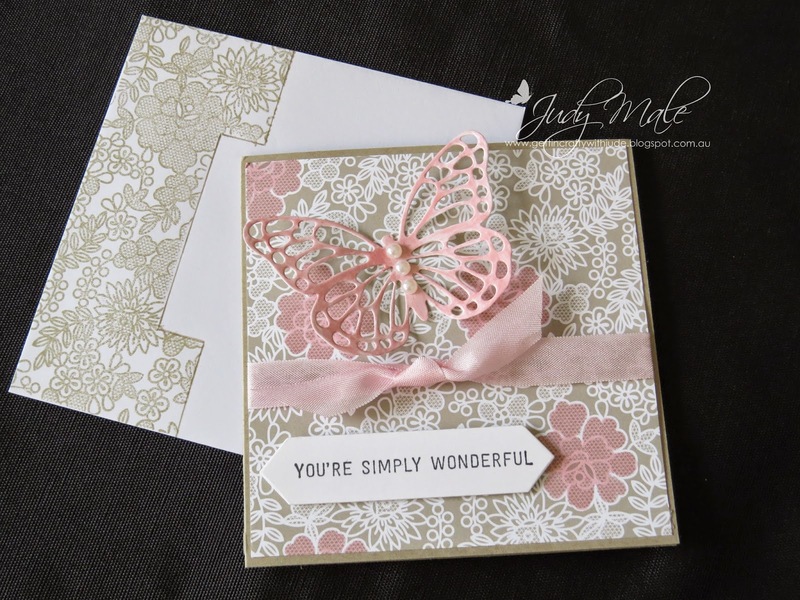 Have a look at Stampin' Up's video on the Butterfly Thinlits Die and a new stamp set from the Occasions Catalogue called Butterfly Basics. 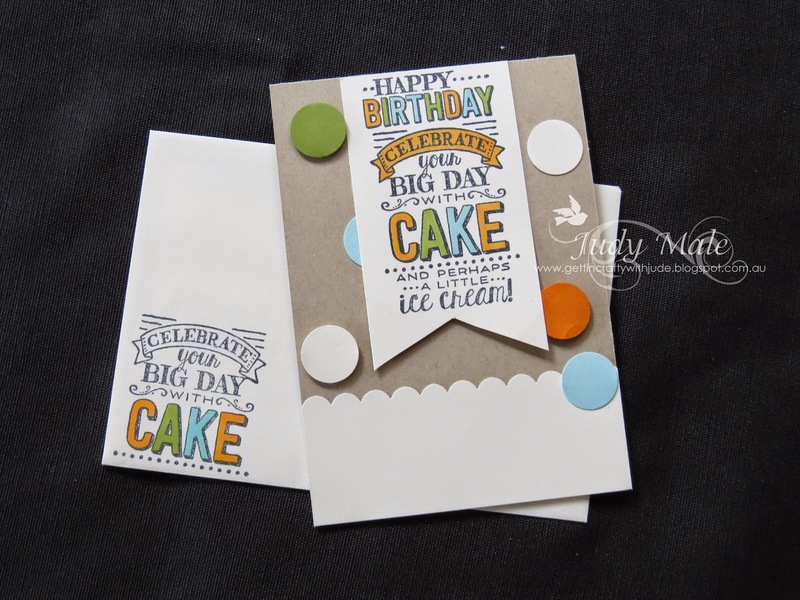 Another of the qualifying SAB Free Stamp Sets is the very versatile Big Day which I have used here. 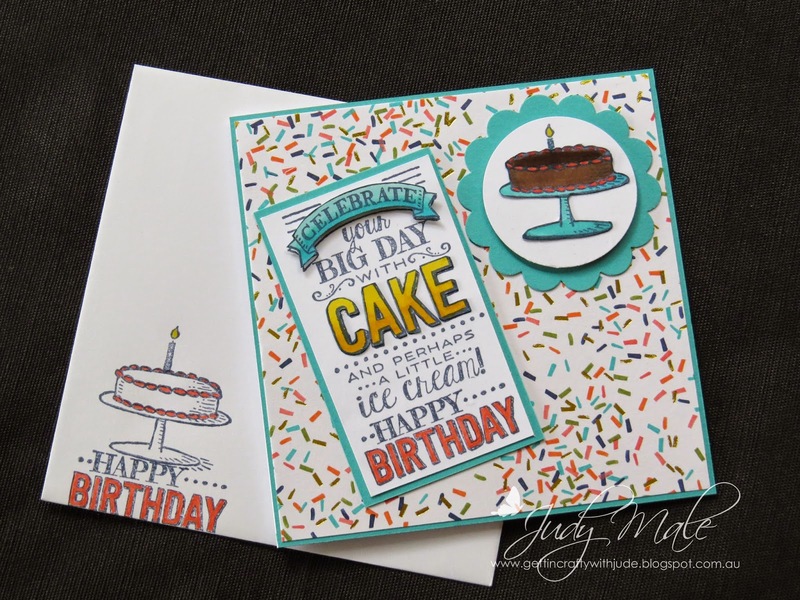 Bermuda Bay card layered with Birthday Bash Designer Series Paper some colouring using our Blendabilites - a quick and easy card to do. Don't forget to stamp your envelopes! 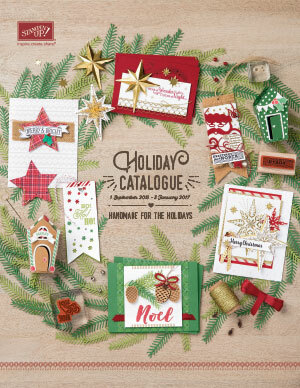 Here I was inspired by the sample card on Page 13 of the Sale-a-bration catalogue so it is my version of it.